Caldwell was born in Davidson NC. In 1953, he graduated from the NCSU School of Design, the first class to complete the new five-year professional course of study in architecture. He also attended graduate school at MIT. He returned to Raleigh in the summer of 1954 to work on an architecture project and met Ann Marie Camlin. They were married for 63 years. 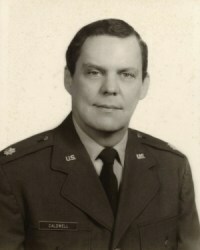 In 1956, Caldwell reported for US Air Force duty to Rome, New York as a 2nd Lieutenant. He stayed active in the Air Force Reserves for 30 years and retired as a Lt. Colonel in 1989. The family returned to West Raleigh in 1958 where he was an architect and partner with Holloway-Reeves, designing medical buildings including the Brodie School of Medicine at East Carolina University and what is now Wake Medical Center in Raleigh. 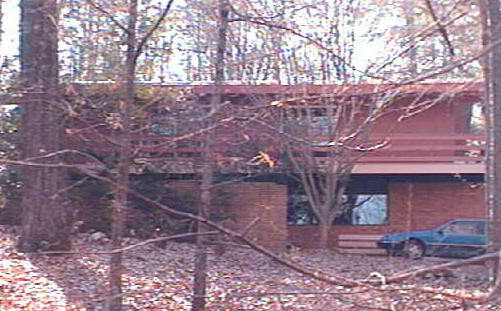 1960 - The Wilmer C. and Georg'Ellen Betts House, 3615 Alleghany Drive, Raleigh. Sold in 1984 to Durwood Wiggins. 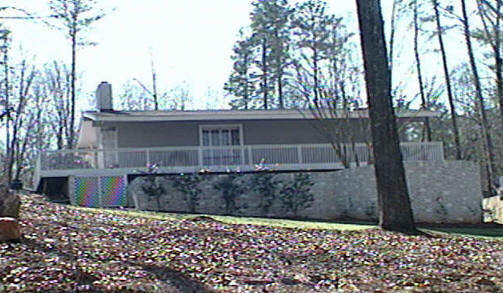 In 1985 it became a group home for autistic adults. 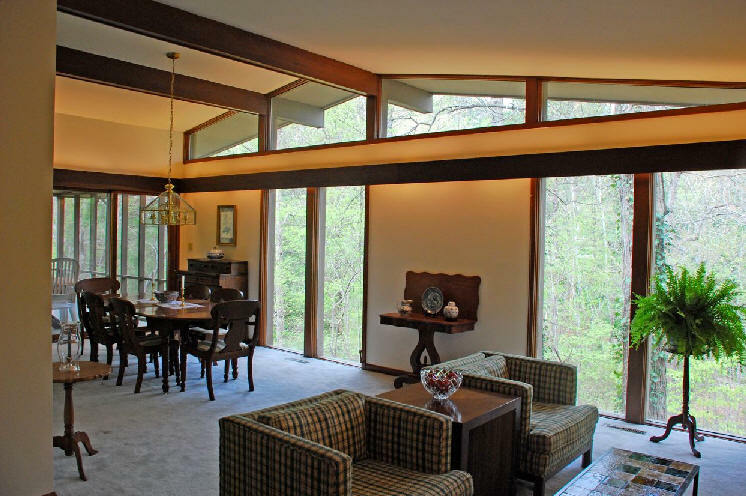 Sold in 1997 to Orris Temple Sloan III who removed the Modernist look, second photo. 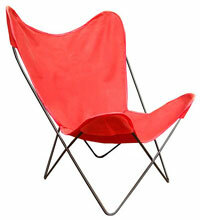 Sold in 2001 to M. Marshall and Karen S. Happer. Sold in 2005 to George R. and Mary Cunningham, Jr. Sold in 2018 to Ellan J. and Gerald P. Maynard. 2014 photo, bottom, by Virginia Clark. 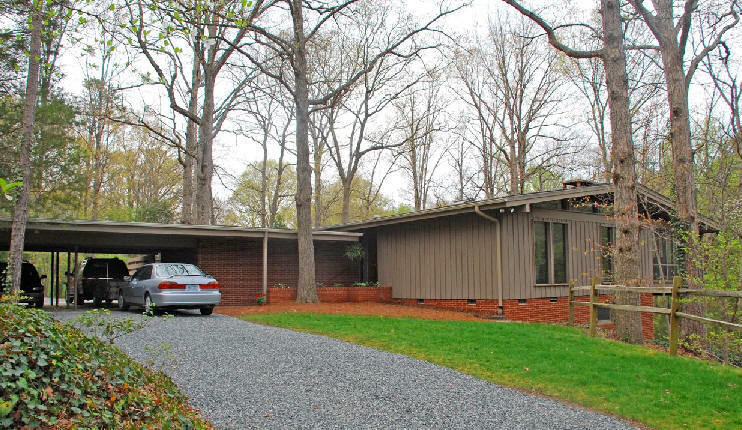 1961 - The Charles and Marilyn Jeffries Residence, 4901 Rembert Drive, Raleigh. 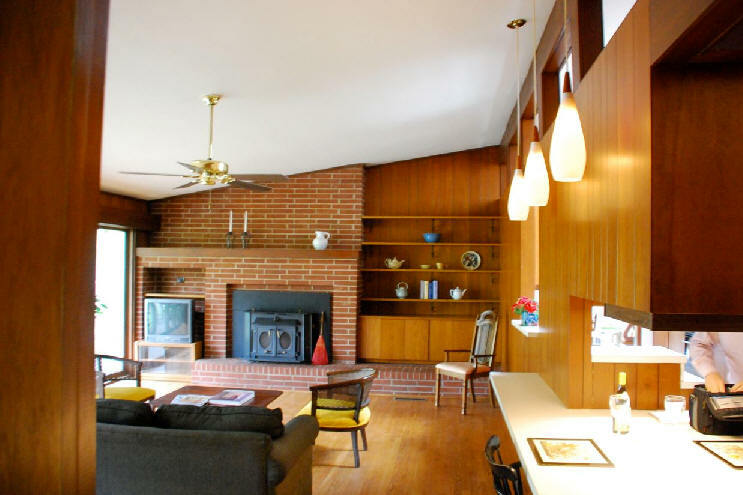 Sold in 1969 to Eunice and William Deerhake. Transferred to their sons William and Stephen Deerhake who did a restoration. Sold in 2011 to Harvey Allen Jr. Photos by Leilani Carter. 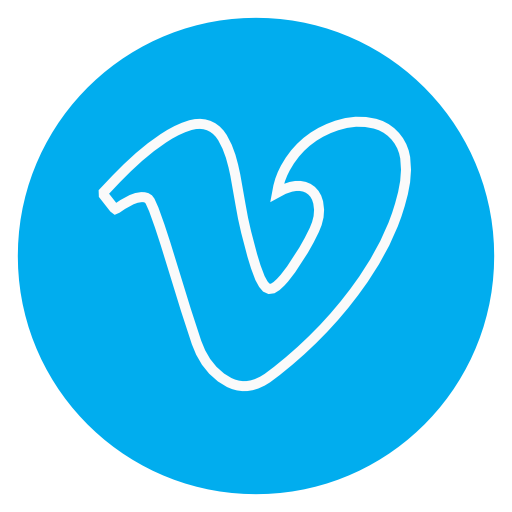 Sold in 2013 to Todd A. and Gregory J. Jensen. Sold in 2015 to Susan J. Gardlick. Sources include: News and Observer.